It’s no secret that I am a morning person. I prefer the calm and serene stillness of the morning over the busy bustle and large crowds of the afternoon any day. I’ve always been in love with the morning. As a kid, on the first day of every school year, I would run out to the little park by my house just to take in the morning air and touch the fresh dew on the grass. It was my first day of school ritual. The cool air was so lovely you’d think it was medicinal. Then I’d run to my dad’s car, ready to take on a new school year. When I find myself sitting outside in the morning for whatever reason, I appreciate the mornings even more than I did as a child. I am a little starved for time to just breathe, exist, and do things that I love. We all seem to get busier as we grow up. It becomes harder to run outside whenever we want. Equally sad, it becomes harder to cook delicious meals because we just don’t have that kind of time. Recently, I decided to make a conscious effort to do the things that I love more often. To start off my personal Do More Things That I Love campaign, I made Chicken Pesto Beer-Batter Crepes. It has a number of steps and well, lets just say it’s not a 30 minute meal. I allowed myself a lot of time to make these because I wasn’t going to cut any corners. I made my own pesto (and yes, I toasted the nuts first). I strained the crepe batter to make sure there were no lumps, after rigorously (and almost violently) whisking the batter by hand. Delicious food is all in the details. Follow the recipe word for word and you will enjoy these delicious crepes too. 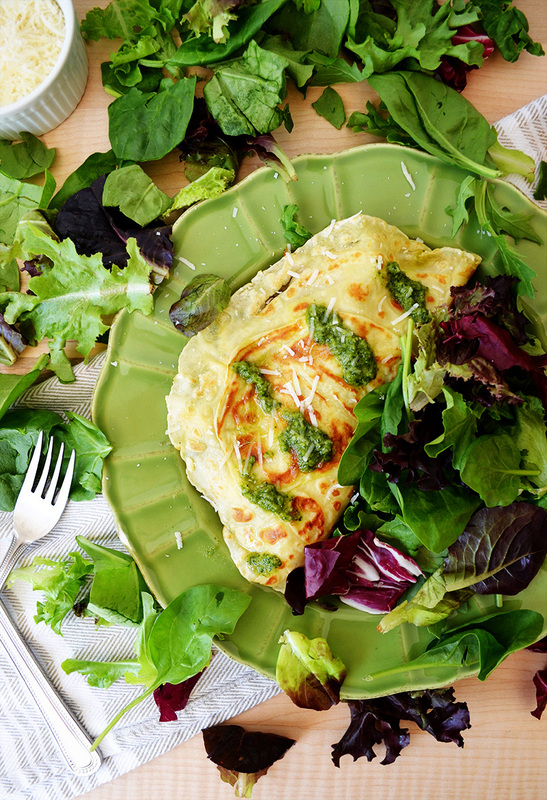 This pesto gave the crepes something that store-bought pestos just can’t offer. And that something is freshness. The chicken is very simple and delicious even on its own. I didn’t want to marinate the chicken because the pesto was flavorful enough. Instead, I made a little seasoning that had only three ingredients – salt, pepper, and paprika. Three tablespoons of olive oil and twenty minutes later, you get crispy chicken, which you’ll eventually dice up. 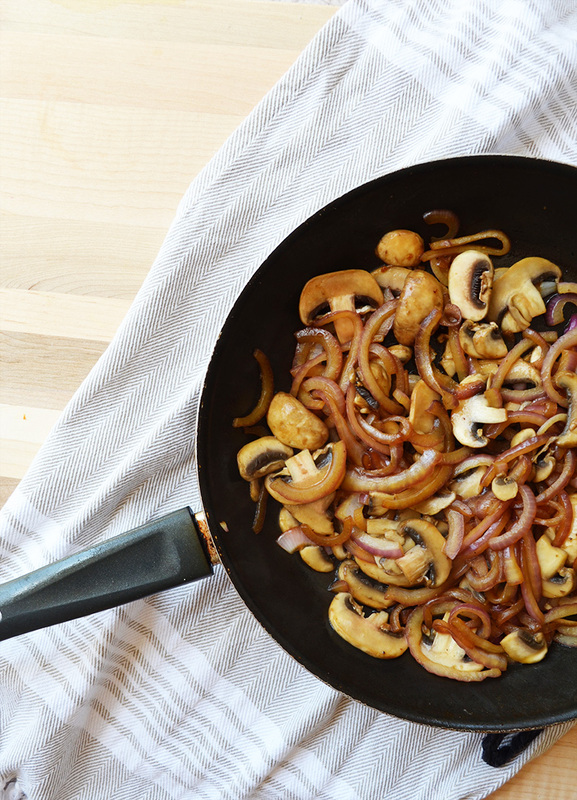 After the chicken is done, cook the onions and mushrooms in the same skillet. They will pick up all the salty and delicious flavors that the generous chicken breasts left behind. I don’t like beer or most types of alcohol for drinking. However, in cooking, alcohol is wonderful. Beer in the crepe batter may sound strange, but it makes the best crepes I have ever tasted. 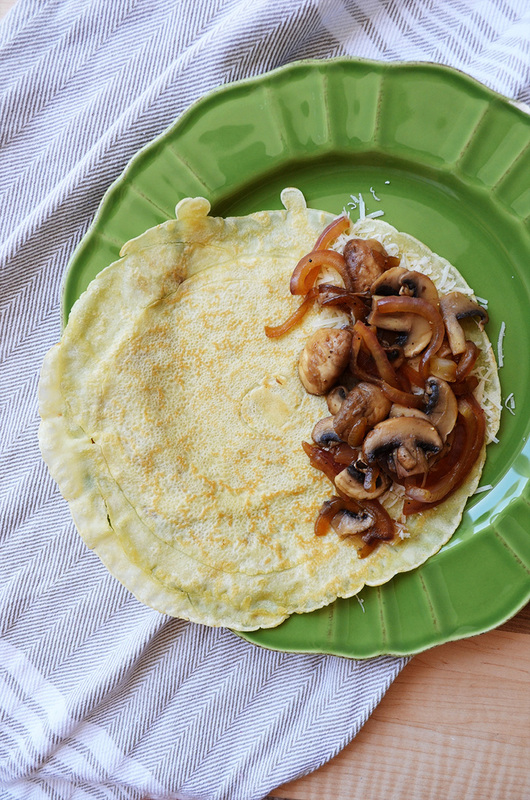 It adds a slight flavor and makes for a sturdy crepe. Again, it’s really important to strain the batter to get rid of any lumps. Make the crepe batter: In a mixing bowl, whisk together the flour and ¼ teaspoon salt. Crack in the eggs, one at a time. Add the milk and beer, mix until there are no more lumps. Strain the crepe batter into a separate bowl. Cover and let it to sit in the fridge until you're ready to use it. 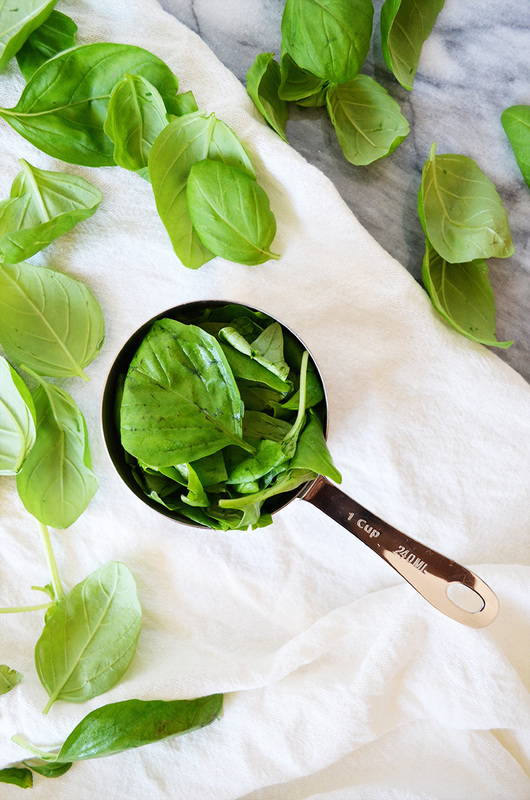 Make the pesto: Heat a skillet over medium-low heat. 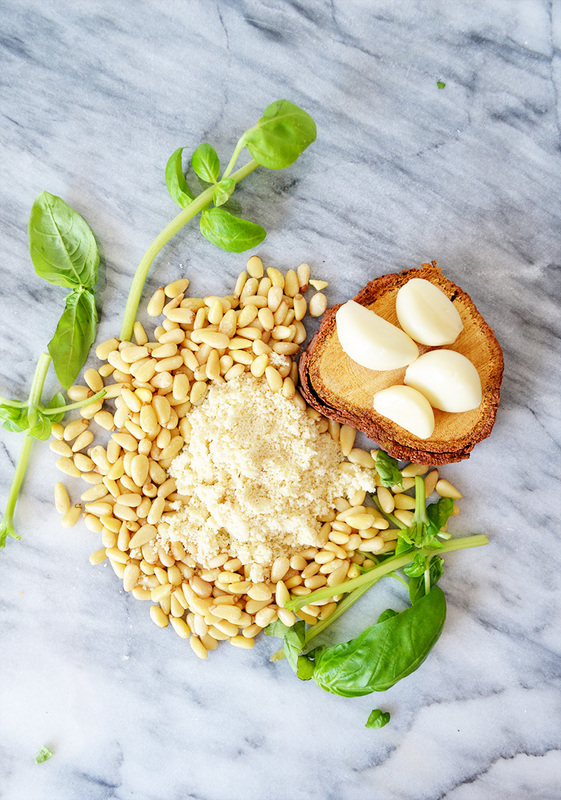 Toast the pine nuts for 3 minutes while constantly stirring. Remove the nuts from the heat and pour into a food processor. Add the basil, garlic, almond flour, salt, pepper, and olive oil into the food processor and pulse for 2-3 minutes. Scrape the edges and pulse again for 30 more seconds. 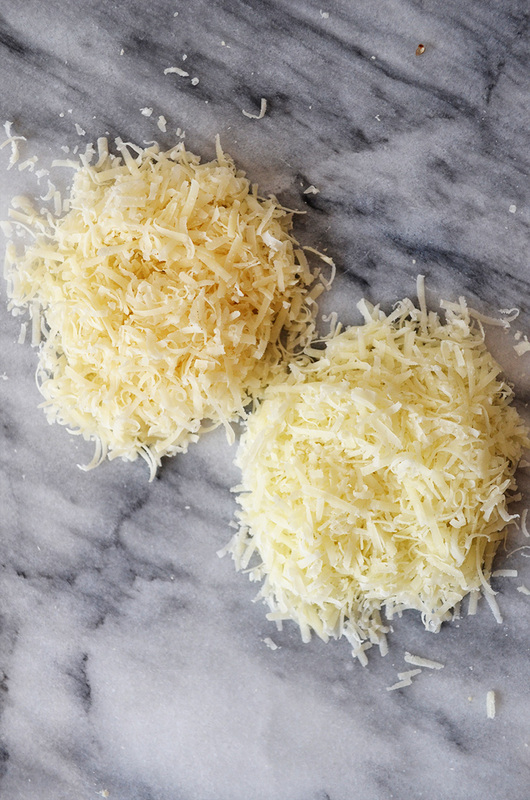 Pour the pesto into a large bowl then stir in ¼ cup freshly grated Parmigiano Reggiano and ¼ cup freshly grated Pecorino cheese. Set aside. 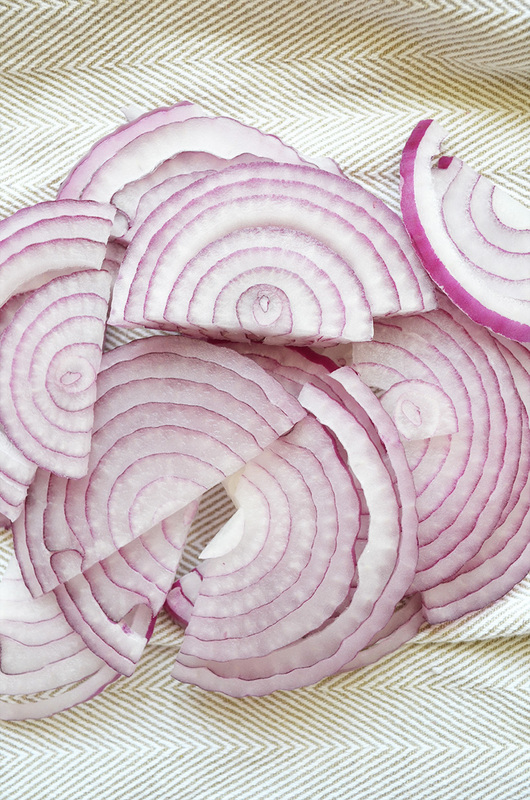 Make the filling: In a small bowl, mix together the salt, pepper, and paprika. Sprinkle half of the seasoning on one side of the chicken breasts. In a skillet, heat three tablespoons of olive oil over medium heat. Place the chicken breasts in the skillet, seasoned side down. Cook for 10 minutes, then sprinkle the rest of the seasoning on top of the chicken breast. Cook the other side for 10 minutes until cooked through. Plate, allow it to rest (but leave the skillet on the heat), then dice into bite size pieces. Add the onions to the skillet and cook for 2-3 minutes. Add the mushrooms and salt and pepper to taste. Cook for another 2-3 minutes, until the vegetables are soft. Drain the liquids, plate then set aside. Heat a skillet over medium heat, grease the pan with a little butter. When the butter is hot, cook one crepe at a time by pouring in ¼ of the batter and quickly spreading it evenly. 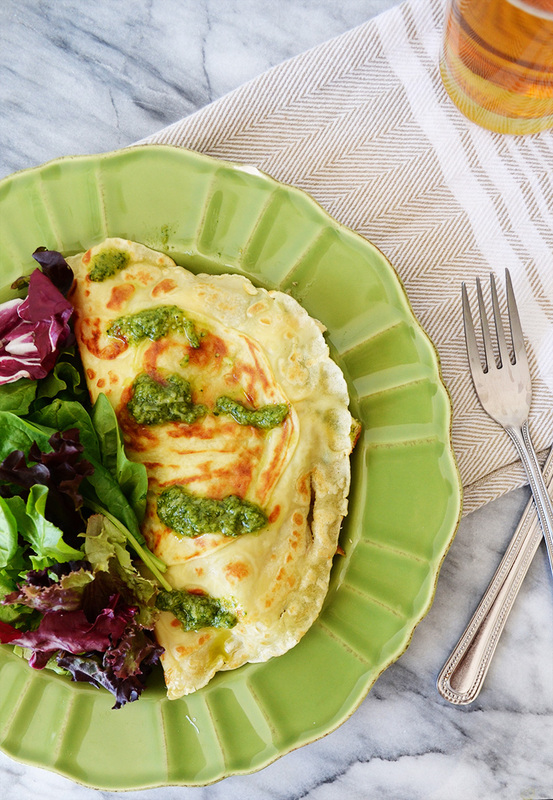 Cook for one minute, then flip and spread ½ cup of cheese over half of the crepe. Cook for another minute, then plate. Spread ¼ of the onion and mushroom mixture over the cheese. 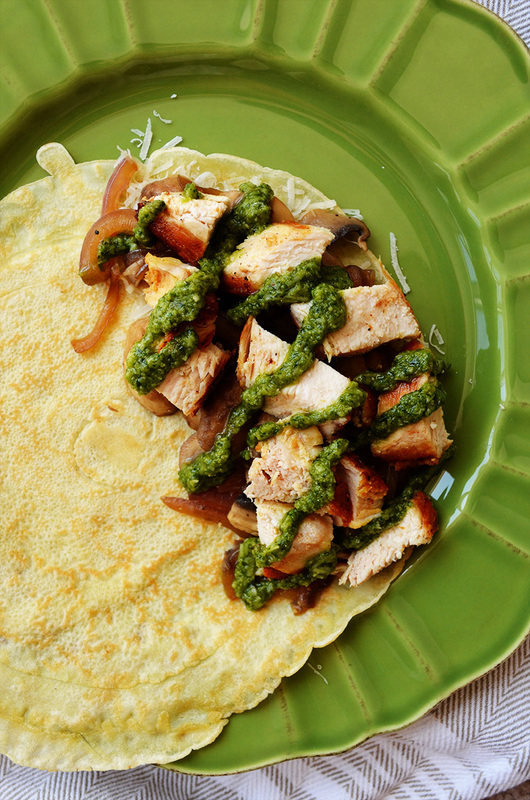 Add the chicken on top of the mushroom and onions, then drizzle 2 tablespoons of pesto over the chicken. Fold the crepe over. Drizzle a little more pesto, then serve. This entry was posted in Entrees and tagged chicken, pesto, sauce & dressing. Connie, these photos are gorgeous and the crepes look amazing. So glad to have found your site. Looking forward to reading more. Thank you so much Kathy! I love Olives & Garlic! I love crepes but rarely make them at home. I much prefer the savoury meal crepes over the sweet. The addition of pesto is just spectacular -I’m drooling! Thank you Allison! Making crepes at home takes time, but it’s a lot of fun! You are too kind Consuelo! Thank you so much!